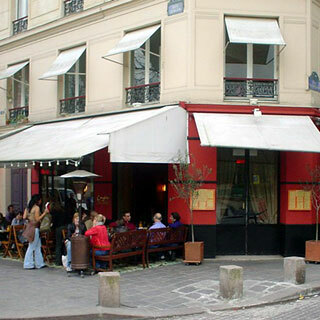 This mellow bar, at the South-West corner of the gardens next to Les Halles, is just far enough away from rue St Denis to escape the crowds of shoppers. When I popped in I found a welcome combination of candelabra, slightly kitsch decor and a relaxed crowd. Had I been there later on in the evening I would have heard the DJ; as it was I just soaked up the trancy music. 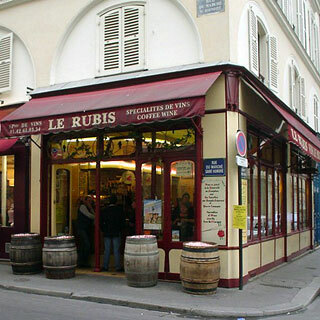 The perfect traditional wine bar with a great selection of wine. It might be paradise, but then paradise probably doesn't close at 10 p.m. and all day Sunday. Still, this is a great place to roll the end of the afternoon into the evening, especially after a day's work, shopping or tourism. Scrummy Japanese fast food just next to the Louvre - good value set-menus, photos of which are posted outside. Above average cafe-bar that makes a good stop late in the evening. Café done up like an appartement (geddit!) where every room is the lounge. 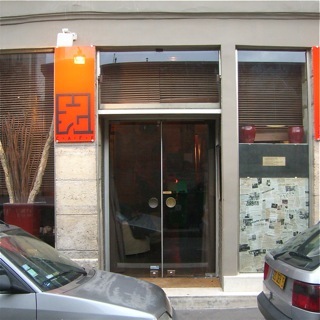 Best place in Paris for armchairs-with-atmosphere; most relaxing. 1998 update - Oh dear, the staff here have completely lost the plot, together with all traces of politeness or welcome. 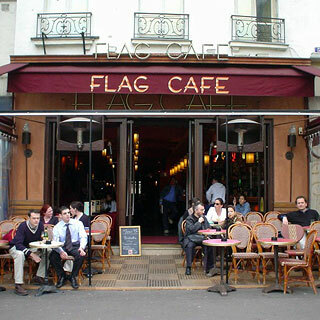 The idea of cafe-as-flat has been bastardised by designating groups of chairs as strictly for a certain number of people, which kills off any spontaneity, as does the suggestion that one ought to have booked. They've even changed the menu, so in the end I didn't bother. Avoid. Paris is pathetically short of relaxing snob-free cafes with sofas and armchairs, which probably explains why this rare example was so packed. As well as a wide selection of furniture, teas and cake, there is food that I didn't try. 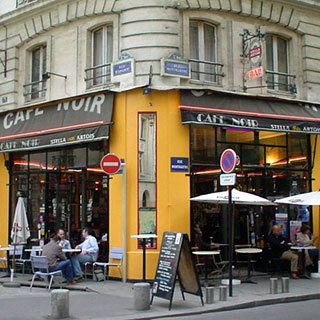 The defining feature of this cafe is that it succeeded where L'Apparemment Café (above) failed - it made it on to the European Cafe Watch S-list. 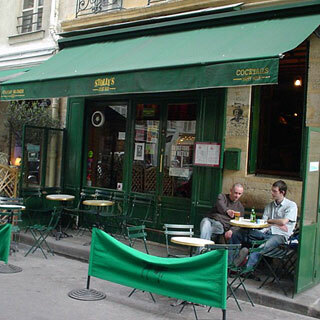 Happy hour at this tiny British cocktail bar makes an excellent start to a night out in Le Marais. You either squeeze inside or chill out on the small terrace. This bar has more atmosphere and better music than most, and even has invitingly comfortable chairs. 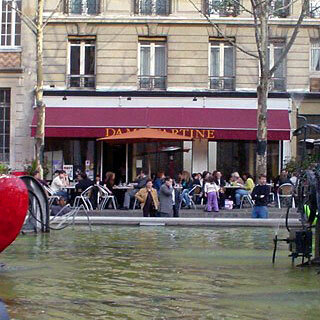 This easy-going restaurant overlooking the water sculptures on the South side of the Pompidou centre serves smallish portions of interesting stuff on toast. Our favourite was the herring with avocado sauce. Friendly service and friendly prices make this place worth a visit, or perhaps one of the other three branches. 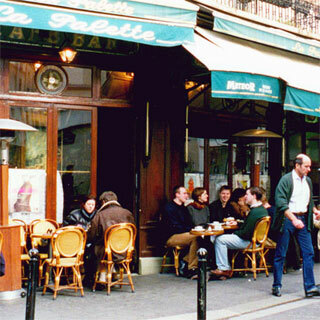 Old French style café with decent atmosphere! Intriging paintings and tasty nibbles with your drinks. 1998, 1999 update - Some things, like La Palette, never change. How very reassuring. There are more beers than you can shake a beermat at in this bar which, despite the name, is not just another 'British Pub'. 1998 update - No change here then. Storming 165F all inclusive menu; good value and good food, set apart by the amicable atmosphere. Make sure you order Beaujolais. 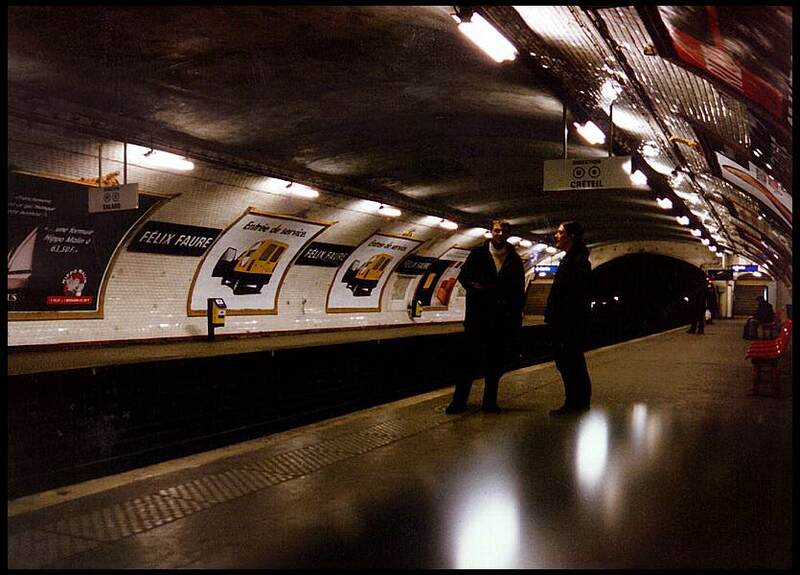 1998 update - Although I haven't been back, I've heard that this place isn't up to scratch these days; so no promises. 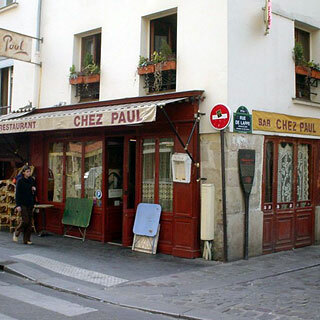 Chez Paul is an exceedingly good restaurant that oozes tradition, character and quality without being boringly conventional. 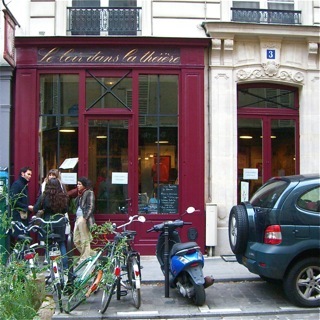 It's location, at the end of the busy rue de Lappe, and reputation make it busy so either book or be waiting at the door when they open up. 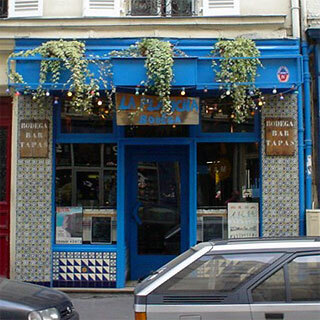 Fantastic and tiny Basque bar and restaurant that has a mouthwatering selection of tapas. Turn up early or you won't get one of the few seats. Eat the excellent sardines ‡ la plancha, and have a glass of Paxaran for 'dessert' afterwards. Upmarket modern bar restaurant with a relaxed atmosphere and decor, and a good traditional Frency menu. The interior is dominated by the bare brick arches of the Viaduc des Arts, which forms the ceiling. Lively Mexican place with great atmosphere and big portions of very tasty grub. 190F six-course menu de dégustation, sans vin: no farting about with menus - you get what you're given. And it's good. Big and bright at lunchtime, big and busy in the evening. Smallish portions. Above average Chinese; small and cosy. This is Le St. Vincent in a posher previous life. Excellent all-in 169F menu. 1998 update - Still at 169F for apéro, three courses, wine and coffee, this place is even better value than it was last year. This is for no better reason than	that the food is excellent - probably worthy of twice the price. The service is good too. Very cheap and cheerful; huge place with fantastic period decor. Titchy restaurant with decent traditional fare that transports you back a hundred years or so.